One thing, among many, that proves what an impact Elvis had on the world of music, and the world in general, is the deep admiration and respect that other celebrities had for him. Priscilla Presley and photographer, Christopher Amuruoso, created a magnificent book called Shades of Elvis, where various celebrities don Elvis’ famous glasses and pose for photographs. The book is gorgeous. The photos are black and white, and they are amazing. I don’t own the book yet, but I will soon. J In addition to the photos, many celebrities contributed statements about Elvis to be published in the book. I love hearing other successful, famous people speak about Elvis. Wow. What great quotes. I’m impressed with the singers and songwriters who thought so highly of Elvis. He certainly changed music for all time. Yes, he did. I am impressed, too. I remember after his death, there were tons of specials and tributes on television with many interviews of famous people. Even the celebrity world was affected. Love the quote by John Lennon. I was never a big Beatle fan, always a huge Elvis fan, but Lennon had it right. 😉 No Elvis…no Beatles. Me too, Dana. 🙂 I never was a Beatles fan, and I only like a few of their songs, but they had a great admiration for Elvis. Yep, he was right. I agree that he changed music and opened the door to black performers. What a gift to the world! Absolutely. 🙂 Many people accused him of being racist because of a false rumor that circulated early in his career, where a magazine printed that he’d said ‘the only thing negroes can do for me is shine my shoes and buy my records’. Even though it was unfounded, and actually disproved, the image stuck. Here is a great article on that very topic, if you want to check it out: http://www.elvis.com.au/presley/elvis-not-racist.shtml Thanks for stopping by! 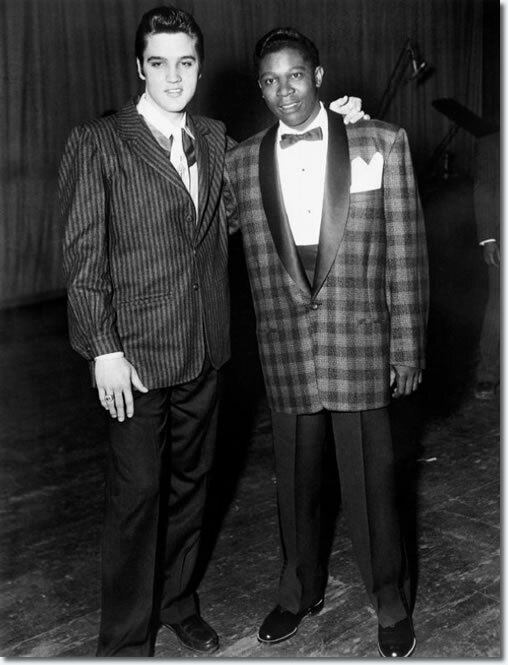 Elvis “invented” rockabilly–the wonderful combo that rocked the world and led rock and roll to fame and fortune. He will always be the KING! Yes, he did, Susan. He didn’t even know what he was inventing at the time, or the mark he was making on the world. 🙂 So true! Thanks for stopping by! What a great concept! He was king, for sure.